Comments: Dark blue, blocky crystals of vonbezingite on matirx. Location: Kalahari Manganese District, Cape Province, South Africa. 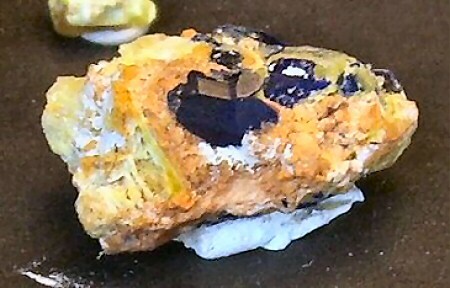 Scale: Crystal size 0.7 cm.